We feel so lucky to live in Cornwall, filled with beautiful beaches, rocky cliffs and a community filled with creative people - the perfect place for making jewellery! 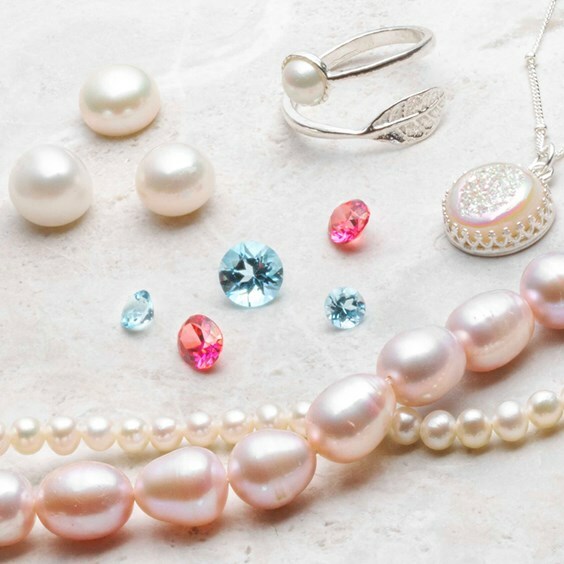 Our friendly team at Kernowcraft are located just outside Perranporth, in a little village called Bolingey providing gemstones and jewellery making supplies to jewellers in Cornwall and across the world. We recently celebrated our 50th anniversary and love sharing news and photos of our home, so in this blog post we thought we'd show you around our wonderful hometown and share our favourite things to do, which are perfect for the whole family. Perranporth beach is one not to be missed when you’re down in Cornwall. It’s a dog friendly beach all year around, which is great for our office dog, Millie who just loves running around on the sand! The beach is easily accessible, with a car park and public toilets nearby. It's a great spot for families to enjoy the warm Cornish sun - you might decide to take a dip in the outdoor pool at Chapel Rock, rent a surfboard from Bathsheba Surf and hit the waves or simply admire the spectacular views with an ice cream in hand (we’d really recommend Pavilion Ice for amazing flavours!). Talking of amazing views and golden sands, make sure you give The Watering Hole a visit. The best part? It’s actually on the beach! This bar and restaurant has a lively atmosphere, with a great range of food and drink available throughout the year. There’s nothing quite like watching the sunset with a Cornish cider in hand. The Watering Hole often has live music throughout the year, ranging from local musicians to international bands - a favourite with the locals, but many travel far and wide for these music events. We love watching their online webcam to see Perranporth beach live. Attend a festival… on the beach! If you want to take in the views of the north Cornish coast, the coastal walk from Perranporth to St Agnes is a fine choice. 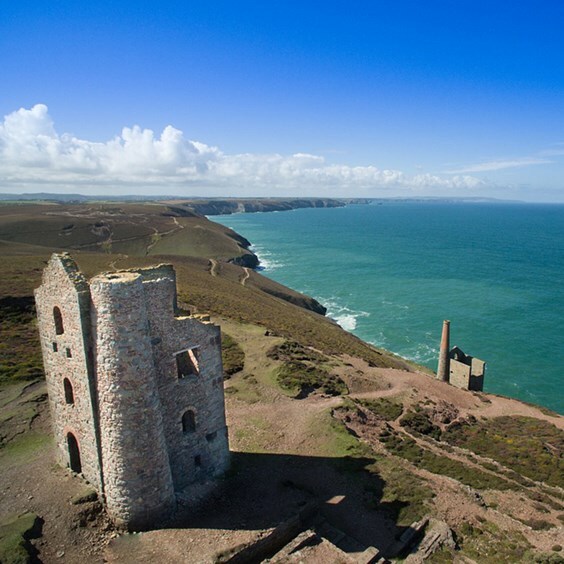 You will get a wonderful perspective of the beach and experience Cornwall’s mining history with stunning views of engine house chimneys. What’s good about Perranporth, is that it’s a great spot to discover what else the north coast has to offer. Visit Newquay for a lively town filled with shops, restaurants and stunning beaches - it also hosts the popular festival Boardmasters in the summer. 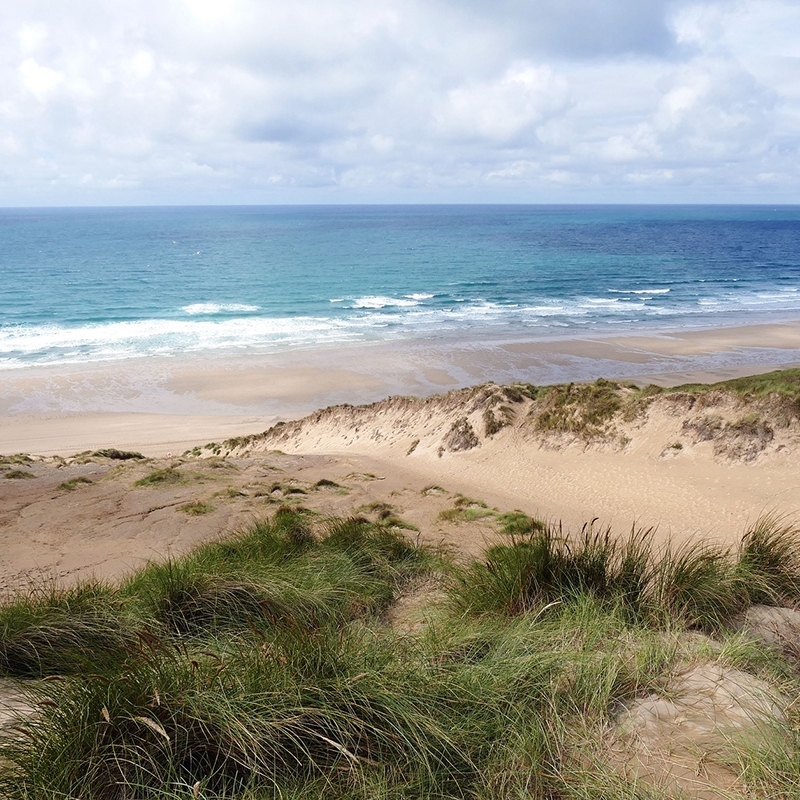 For a peaceful afternoon spent at the beach, head to Gwithian and Godrevy for soft sandy beaches and a picturesque lighthouse to snap a photo of. Don’t forget to walk across to Godrevy Point to see if any seals are sunbathing on the secluded beach, Mutton Cove! While you're in Cornwall, you have to visit Cornwall's creative hub, St Ives - it's such a pretty town filled with inspiration. You can visit local art galleries and also the Barbara Hepworth Museum and Sculpture Garden, offering an amazing insight twentieth century art. The garden was actually positioned by none other than Barbara herself, a great place if you're the creative type. End the day with fish and chips beside the harbour or sit on the balcony at The Hub and devour a burger! A visit to Perranzabuloe Museum is a great place to learn more about the history of Perranporth and surrounding villages. Explore this small museum and learn about mining, fishing, farming, surfing and more. The museum is open between 29th March to 31st October, admission is free however donations are welcome. For the most up-to date information, visit their website. There are plenty of activities to enjoy with the whole family. Whether you fancy a horse ride across the beach, a day at the golf course or you fancy attending local events such as its annual triathlon - there’s something for everyone. For the creative, you may be interested in events such as Perranporth Art and Wellbeing or the Country Markets. And don't forget to pop into Perranporth Art Gallery, to be inspired by Cornwall, if you haven’t been already! To read the most up to date dates of events, view Perranporth’s What’s On page. If you’re creative and interested in trying jewellery making, pop in to see us just outside Perranporth in Cornwall for your jewellery making supplies. We’re a small team of experienced jewellery makers and whether you're a complete beginner or expert silversmith, we would love to meet you. Although we don’t have a showroom to look around, you are more than welcome to chat to us at our counter service where we will be happy to show you a range of beautiful gemstones, beads and supplies for all your jewellery making needs. We’d recommend having a browse of our products online before coming to see us, so you know what you would like to see. Explore our jewellery making tutorials aimed at beginners or read our advice pages for inspiration and advice.